A version of this article originally appeared on Dr. James Tabor’s popular Taborblog, a site that discusses and reports on “‘All things biblical’ from the Hebrew Bible to Early Christianity in the Roman World and Beyond.” Bible History Daily republished this article with permission from the author. The elements of the Cana story are fascinating. Jesus and his disciples, who have been down in the Jordan valley with John the Baptist, return to the area to join the wedding celebration. Jesus’ mother Mary (though unnamed in John) and his brothers are already there (2:12), so it seems to be some kind of “family affair.” Indeed, Mary seems to be at some level officially involved in the celebration as a kind of co-hostess since she takes charge of things when the wine planned for the occasion, unexpectedly runs out, indicating either that the crowd was larger than expected or that things became quite festive, or both. Mary turns to Jesus and the rest of the story is well known to everyone—he miraculously turns six stone vessels, filled initially with water, into the finest wine. But beyond the “miracle” or the “sign,” a number of other quite interesting questions arise. First, one has to ask: Why would the lack of wine be a concern of Mary, Jesus’ mother? And what do we know about Cana? And most importantly, whose wedding was this and why were Jesus and his family present in the first place? Let’s begin with Cana itself. What do we know about it? Most tourists are taken to the traditional site of Cana (Kefr Kenna) near Nazareth on the road to Tiberias that the Franciscans maintain. The problem is that this location has no Roman-period ruins and most certainly is not the place mentioned in the New Testament. Its veneration began sometime in the Middle Ages. An alternative site, Khirbet Qana, is 8 miles northwest of Nazareth and 12 miles west of the Sea of Galilee. It is high on a hill overlooking the Bet Netofa valley. This location has much more evidence in its favor. My colleague and friend, the late Professor Doug Edwards, began excavating there in 1998, and Tom McCollough has carried on his work as time has allowed. What they have found seems fairly decisive, including Second Temple period tombs, houses and possibly a beth midrash or synagogue. Evidence of Christian veneration at this site dates back to the sixth century C.E. Right after the wedding, according to John 2:12, Jesus goes to Capernaum and with him are his disciples, but also his mother and his brothers. I think that implies the whole family, including the brothers (and thus the sisters) were not only at the wedding but are now traveling with him. They go to Capernaum, where he sets up a kind “residence” or operational HQ, according to the tradition that Mark has received (see Mark 2:1; 3:19; 9:33 and the references to the house and being “at home”). Mark knows nothing of Cana but John mentions it again when Jesus returns from a trip to Judea, where he stirred up a considerable amount of trouble and needs some place to “lay low.” He and his disciples go back to Cana (John 4:46). Why go back there if the first visit was just for a wedding and had no connection to him? I think this is important in that it seems to become for Jesus a kind of “safe house” or place of operations when he needs to retreat to Galilee, much like Capernaum. There is definitely a “Jesus connection” to Cana, parallel to the one that Mark reports regarding Capernaum. Peter Richardson of the University of Toronto has written a significant academic article on this point titled “What Has Cana to Do with Capernaum?” (New Testament Studies 48 (2002), pp. 314–331) that I highly recommend. He argues that the significant differences on geographical matters between the Synoptics with their sources and John with its sources—especially the question of Jesus’ “place”—should not be resolved simply in favor of Mark. Cana as a place in John is as significant as Capernaum in Mark. In fact, Richardson argues that Cana served as an operational base for Jesus according to the tradition that John reflects. It is interesting to note that during the Jewish Revolt, Josephus, commander of the Jewish forces in Galilee, made Cana his strategic headquarters for a time (Life 86). Its prime location, overlooking Sepphoris and the cities of the Bet Netofa Valley, made it an ideal location. Also, Jewish tradition locates the priestly family of Eliashib, mentioned in 1 Chronicles 24:19 as one of the 24 orders of Cohanim or priest, as from Cana. Given this background all we can do is speculate. I think we can assume that Mary, the mother of Jesus, is somehow involved in the wedding, and since we know Jesus and his disciples—as well as his brothers—are there, it is not a passing event but some kind of family affair. And since he returns to the place when things get heated for him and his disciples in Judea, it is a safe place for him, and one to which he is connected. So whose was the wedding? Or can we even make a wild guess? Many have suggested that the wedding at Cana was that of Jesus. I find this unlikely. Even though the account is very “allegorical” as it comes to us in John, and it is accordingly hard to derive historical material therefrom, the way in which Jesus shows up with his disciples, when his mother and brothers are already there, indicates to me that the wedding is of someone else. My own guess would be that it is the wedding of either one of his brothers or sisters, since Mary is involved—not, as I read it, as the hostess, but as one concerned with the provisions for the wedding. Since the wedding is held in Cana, my guess is that it could very well be the wedding of one of Jesus’ brothers, perhaps James, to a sister or daughter of Nathanael, thus accounting for it being held in that village. Cana then becomes a place to which Jesus can return, and as with Capernaum, it served as a kind of “home” for him. Regardless, I do think, as Richardson has argued, that we should take John’s references to geographical locations as rooted in some of the earliest traditions we have related to the life of Jesus–even predating Mark. I have of late become persuaded that Jesus well might have been married, and this represents a change of mind for me that I have detailed in our book The Jesus Discovery. If such be the case, it seems impossible to tell whether he would have been married long before this point in his life, perhaps in his 20s, or whether he chose not to be married into his adult life, and only subsequently did so closer to the end. Dr. James Tabor is Professor of Christian Origins and Ancient Judaism in the Department of Religious Studies at the University of North Carolina at Charlotte. Since earning his Ph.D. at the University of Chicago in 1981, Tabor has combined his work on ancient texts with extensive field work in archaeology in Israel and Jordan, including work at Qumran, Sepphoris, Masada, Wadi el-Yabis in Jordan. 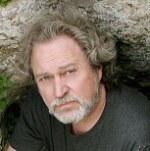 Over the past decade he has teamed up with with Shimon Gibson to excavate the “John the Baptist” cave at Suba, the “Tomb of the Shroud” discovered in 2000, Mt Zion and, along with Rami Arav, he has been involved in the re-exploration of two tombs in East Talpiot including the controversial “Jesus tomb.” Tabor is the author of the popular Taborblog, and several of his recent posts have been featured in Bible History Daily as well as the Huffington Post. His latest book, Paul and Jesus: How the Apostle Transformed Christianity, has become a immediately popular with specialists and non-specialists alike. You can find links to all of Dr. Tabor’s web pages, books, and projects at jamestabor.com. This Bible History Daily article was first republished from James Tabor’s blog on November 16, 2015.
where not at the wedding, never witnessed the miracle and never believed in Jesus like his Mother did. These brothers seems to be cousins, uncles and aunts of Jesus. If you are still monitoring this feed, I would love to have a separate conversation with you about your suggestion. I have been sitting on that possibility for the past 40 years, but have met few people that could entertain that explanation. Unsupported claim there is no strife between Christ and the Jews in a Q or “Signs” source. History does not support the claim either. .
Perhaps an explanation of the miracle is that the host had hidden the good wine where nobody would look, in the water jars. Jesus just figured it out. A little splashing of water would turn it into a miracle. The above speculations may be as unsupported by solid exegesis as Tabor’s thinking Jesus was married. I think there are about as many fragments of the ‘signs source’ as the ‘Q source’, if I remember correctly. Jesus married?! Really? That is crazy. I was enjoying the article till I read that. I am not sure why you think Mary was anything more than just a guest. You are missing the point of the story which I believe is the fact that Jesus began his ministry at the request of his mother. Mary stayed with him to the bitter end.Jesus gave her to John from the cross. If she had other children there would have been no need to do that. She is the mother of all mankind. I have a response to this too. (sorry if a bit late). Absolutely raving bonkers! My reconstruction of the wedding at Cana ( John 2:1-2:12) illuminates what I believe actually occurred. Hopefully it augments in many ways the thinking of Dr. Tabor whose erudition I hold in the highest esteem. Where we may differ, it is with honest appreciation for the dialogue that leads us along a path toward a shared awareness of the past. As presented in the Gospel of John, the scenario is strictly for the faithful Christian. The style of the passage is “midrashic,” a lesson-legend with a historical core. 1. His disciples accompany him to the wedding (2:2). 5. (To the servants) he next says, “Fill the jars with water…” –referring to spigoted hand-washing vessels near the door–and he performs the miracle, turning the water to wine (2:7-2:9). 7. (This was the first of the signs…and his disciples believed in him)… “After this he went down to Kfar Nahum with his mother and his brothers (no mention of the disciples) but they stayed there only a few days” (2:12). Jesus’ response to his mother’s statement that they have no wine: “What is that to you and to me, woman? My hour has not come yet,” is, in tone, an irritable if not angry rejoinder. Had he said, “Mother, don’t be concerned,” the moment between them would have been respectful and even affectionate. Several possible explanations exist: 1. This is one among several passages showing that his relationship to his biological family was not equal to his bond with devotees (a Christianizing interpretation). 2. He and his mother weren’t getting along. 3. He was annoyed by Mary’s implied criticism that he had come too late for the guests to care about his (hypothetical) gift of wine. The second and third alternatives–that Jesus and his mother were not getting along–taken together with his annoyance at her dismissive greeting, therefore seems likely. His mother’s anxiety, reflected in the Nazareth-synagogue scene (Mark 3:31-3:35) reveals the family concern that he was acting “crazy.” Criticized for “playing the prophet,” and making a public display of what they considered ridiculous antics, Jesus had expressed his irritation, rebuffing them. The second part of his response, “My hour has not come yet” is informative. We know this was not referring to his “hour” to help out with the depleted wine supply. Theologically, it has an unmistakeable ring of a future revelation that he is the messiah. (That is, “My time to reveal myself as the messiah has not come yet,” which is plainly irrelevant to a non-messianic context). Shortly after his abrupt remarks to his mother, he instructs the servants to mix the wine he has brought as a gift into the hand-washing jars which are arrayed near the entrance. His intention to use ritual washing vessels to dispense wine was in total disregard of the feelings of traditional guests at the party. More than that, it would have been an affront likely to cause their outspoken indignation. After pouring in the wine, the servant brings some to the steward, who tastes it and offers his compliments to the groom. In fact, not uncommon in such first century Judean celebratory circumstances, when the wine supply was diminished, increasing amounts of water were added to it. Therefore, early on, the party would have been drinking (perhaps) a fifty-fifty mixture of wine and water (or even a higher percentage of wine), and later, a less tasty mixture with increasing amounts of water. Significantly, my analysis of the Gospel account further reveals the water-to-wine “miracle” was a postmortem alteration intended to establish Jesus as a holier version of the high priest in Jerusalem. The Hebrew festival of Sukkot had a central ritual in which water was poured simultaneously with wine on the Temple altar. The water-libation ceremony, as it was called (Tractate Sukkot) enacted the fall seasonal miracle when rainfall, a blessing from God, nurtured the vineyards, miraculously turning to wine. Judging from what followed, Mary, the disciples who were there, and his supposed own half-brothers (the sons of Joseph being actual cousins if Joseph was not Jesus’ father), were embarrassed. What did Mary say to Jesus when guests began taking notice? Recreating her words (based on his response upon arriving, “it’s not my wedding,”) I propose she then insisted, “If you keep acting like this, nobody will marry you!” Evidence for her hypothetical remark are the words he spoke which are not repeated in the Gospel version, but seem likely to have echoed the same sentiment as “My hour has not come yet.” In the course of the wedding party, her comment, “if you keep acting like this, nobody will marry you” would very possibly have been met with the retort: “I’m not ready to get married.” (This last line becomes the Gospel rendering, “My hour has not come yet.”) Still, a question arises: In the midst of her discomfort at his perceived “antics,” why should she have chosen to make Jesus’ future marriage an issue? I submit there was a significant reason: If people regarded Jesus as genuinely mad, they would likely believe him to be a “shetuki,” one who had no known father. (The popular saying was, “Shetuki is shetufi”–the one who cannot name his father acts like a crazy person.) Consequently, he would be ineligible to marry a woman of known Hebrew lineage, mixing the “certain with the doubtful” (prohibited by Jewish custom). Causing Mary further anguish, quite naturally, would be the resulting opinion that she had been guilty of adultery (in that his seemingly bizarre behavior indicated Joseph was not his father). Recognizing the timeframe as the fall Sukkot pilgrimage festival (Feast of Booths), I suggest that from this text we may discern who among them intended to make the two-three day journey from Kfar Nahum (Capernaum) to Jerusalem. In what may be the Gospels’ only description of an emotionally hurt Jesus, he tells his brothers: (7:7-7:8) “The world cannot hate you, but it does hate me.” Of special importance, is his use of the word, “cannot.” Assuredly there is a reason why they are “above” the possibility of being hated. Here, I think it is inescapable that he is referring to their pure Hebrew lineage, fixing their status as irreproachably free from the common contempt the society showed those with doubtful origins. In that he says this immediately after the Cana wedding party, I strongly suspect he had learned Joseph was not his father right about then. 1. After Cana, he considered his mother an adulteress. 3. He sought lineage purification by John’s immersion. 4. He changed his approach to teaching the disciples, emphasizing the sanctity of Torah as a key to entering the Kingdom of God. Before fully reconstructing the Cana episode, I must address a misconception engendered by Christian theology. For whatever reason, the typical church interpretation of the word “brothers” is that they were devotees–and not members of his family. Probably because dogma requires Jesus’ have a “family-of-the-faithful,” the role of Joseph’s sons is largely muted. An even superficial analysis of the text exposes the fact the ones referred to in the Cana story were absolutely Joseph’s sons. First, it makes no sense to tell his so-called family-of-the-faithful, “They cannot hate you.” We all know the grotesque persecution suffered by the early Christians. Second, in expressing their sarcastic insult, “Go to Jerusalem and let your disciples see the works you are doing…”(John 7:2-7:6) the brothers hardly sound like a family-of-the-faithful. In 7:10 the text states he changed his mind and went to Jerusalem by himself. Is there further evidence that Jesus’ disciples had indeed set out and reached Jerusalem for the Sukkot festival, arriving there before him? In sum: After the wedding party, now alone in Kfar Nahum (prior to having been banished) Jesus changes his mind (John 7:14) and makes the pilgrimage alone. When he arrives in the vicinity of Jerusalem, he encounters John at the site of his immersion activity. Telling from the related text (John 1:43-1:45), at least several of the disciples are there, including Andrew, Simon, Philip and Nethanael. In John 1:35 we also read, “John stood there with two of his disciples.” Perhaps they were the Zebedees, and others could have been on hand or gone ahead to the Temple mount. Probably referring to the Sukkot huts, Jesus offers to show the disciples where he is staying, with the narrative concluding: “So they went and saw where he was staying, keeping him company the rest of the day.” This would exactly conform to the traditional custom on Sukkot of “dwelling together in booths.” To fulfill the Torah tradition, visitors and pilgrims were taken in by those who had built the shelters on the hillsides or in their own courtyards. 1. Jesus and his disciples arrive at the Cana wedding party bringing wine as a gift. 11. Hypothetical: Jesus becomes aware that he is not Joseph’s son. (The subsequent events strongly suggest Mary’s warning had “hit home.” Saying he would never marry if he kept up his “antics,” she had basically divulged the truth. 12. The disciples, perhaps unnerved by the apparent family squabble, depart. 18. Changing his mind after several days, he makes the Sukkot pilgrimage to Jerusalem by himself. It should be understood that much of Jesus’ teaching prior to Sukkot had been to enable his disciples to join in observing the Jewish holy days (especially Rosh ha-shannah, the New Year, and Yom Kippur, the Day of Atonement). Because God’s Kingdom was anticipated, and considered most likely to occur that very year, 31-32 CE, the seventh of the tithing cycle, known as the “Shemitah, the disciples’ Torah education–and re-Covenanting via the holy spirit–was all the more important. Mr. Tabor says in this article that he believes Jesus was married, and that this was a significant changing of his mind. I can find no scriptural evidences of this. Could anyone please give me a reason why anyone would come to this conclusion ? Reading the miracle as it has been passed down to us rather than cut into pieces by modern scholars, this “beginning of signs” where Jesus “manifested his glory,” looks back to John 1:14 “we beheld his glory” . . . “full of grace and truth” which in turn looks back to the revelation of God to Moses in Exodus 34 (or the revelation of the divine Word in the Palestinian Targums), as he describes himself to Moses as “full of grace and truth” (rab chesed we’emet). Thus it should be pointed out that this is his first miracle, post-incarnation, and is seen as a continuation of his pre-incarnate works, e.g. the miracle at Cana could be considered in light of the “beginning of signs” in Egypt, where the water was turned to blood (note that the water in John 2 was for purification, just as the water of the Nile, also stored in vessels in the temples, was used for purifictaion). The John 2 miracle is not a plague of course, but more of an “anti-plague,” just as the miracles in the wilderness were a blessing to God’s people. One of the Targums in the plague narrative has God say that the miracles were done so that you may know that I am he, whose Word dwells in the land – same as in John’s Gospel. The wedding is also the beginning of John’s presentation of Jesus as the bridegroom of his people (again, in continuity with his pre-incarnate role as bridegroom of Israel). He steps in and fulfills the duty of the bridegroom, who did not bring enough wine, and Jesus is not like typical men. Then in the next chapter John the Baptist calls Jesus the bridegroom, and in John 4 he meets a Samaritan woman at a well, the place where in the OT Abraham’s servant meets Rebecah, Jacob meets Rachel, and Moses meets Zipporah, and them the Lord meets Israel (Exodus 17); John 4 has numerous parallels to these OT texts, presenting Jesus as (1) servant (like Abraham’s servant, Genesis 24); (2) prospective bridegroom Jacob (according to legend in Palestinian Targums, Jacob lifted the cover of the well and water flowed up and overflowed 20 years); (3) prospective bridegroom Moses (Josephus says that Moses sat down by the well because he was weary from his journey and the time was noon, just like in John 4); (4) divine bridegroom – John 4:26 draws on the last of the “I am he” sayings in Isaiah (52:6). Also of note, in Tg. 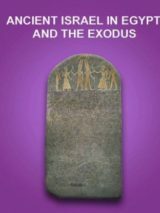 Neofiti Moses and the divine Word are at the well in Exodus 17; that helps us to see in John 4 the divine Word is now a man, like Moses (but without sin); i.e. the Word has become flesh. Of course, cutting up the Gospel into little isolated pieces, which you think is scholarly, prevents you, and those who pay attention to you, from seeing all this. 1. Mary has determined that Jesus’ time has come, though he had not determined yet. Mary turns to the servers and says “so has he says”. Mary is clearly telling us all “do as he says”. This is the last we hear Mary speak in the gospels. A fitting bookend to the first we hear from her as she answered Gabriel “let it be done unto me as God wills”. 2. The six jars: 6×25 gallons = 150 gallons of fine wine. Clearly ample supply. One must keep in mind the significance of the jars: “cleansing” water. Clearly this miracle is a foreshadowing of the conversion of wine into the “cleansing” blood of our lord. 3. It seems to me that at the wedding at Cana, the metamorphosis of Jesus the man into Jesus the man/God, which began in the Jordan river, is completed. It’s a dual ceremony, man and woman (both unidentified) and Christ to the Church. This latter wedding being the basis of every priest taking the Church as bride in ordination. 5. John’s gospel culminates with the breathing of the Holy Spirit upon the deciples, and ends in the eating of a meal of fish over a charcoal fire, thus completing the deciples’ conversion to apostles. How dare you! His noodly goodness will not be mocked! Jesus is named as the bridegroom at the weddings feast in John 2. In this context no reason to think that it’s only allegorical. 7 **Jesus** saith unto them, Fill the waterpots with water. And they filled them up to the brim. 10 And saith unto him, Every man at the beginning doth set forth good wine; and when men have well drunk, then that which is worse: but **thou** hast kept the good wine until now. I think this is the evidence that it was Jesus who was married at Cana. There were a number of schools, like we might just say today “rabbi schools,” or “religious schools” back 2,000 years ago. The “advanced” program involved additional training of the grad students, or PhD type students, that went til about age 35 . Some of the religious men didn’t marry until they were 35 years of age after their training, so it’s possible Yeshua wasn’t married at all when he was “hung on a tree.” Also there were chaste marriages in those and earlier times, like Abraham and Sarah or Joachim and St. Anne, until advanced age when angels petitioned the couples to consummate their marriages. Until advanced age, the couples were just “betrothed” to one another. The Essenes often didn’t consummate their betrothals at all, or only once or twice a year as possibly directed by the elders or spiritual advisors of the sect. Joachim and St Anne, the parents of Mary, and perhaps Zechariah and Elizabeth as well might have been Essenes from the settlement north or just outside of Jerusalem after Qumram was closed down. 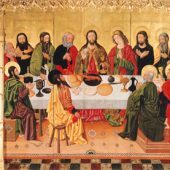 One idea is also that the feast at Cana was the betrothal of St. John to Mary Magdalene, a marriage of celebates, who were understudies of Yeshua and formerly John the Baptizer. Or possibly of Yeshua himself, maybe James the Lesser or Just. I think James might have become a priest in the Temple in Jerusalem as well, either before or after the crucifixtion. It’s important to remember that in these days we have very open kinds of relationships, marriages and remarriages. Hillel the rabbi was more liberal than Jesus in his ideas, but all in all, many of the rabbi didn’t condone remarriage for any reason, or consummating a second marriage in the case of widow hood or divorce, etc. If your husband died you would be “wed” as it were to someone’s family, or as in the case of Mary, betrothed to Joseph for instance as a caretaker, but with a pure and chaste relationship. Widows needed to be adopted in Roman times, or eventually in the Christian sect they became wives and daughters of the church–giving liberally to the origins of the Church itself, and becoming “virgins” or single women without marital status, but with standing and protection by the elders and families. An engagement was a grander celebration than a marriage, which happened 6 months later in the year. Consummation of marriages, or engagements, happened in Nov or Dec often so that births would be 9 months later in AUG or SEP when children would be born with strong bones from the summer sun, and called “kings” or queens. Mary was born on Sept 8th or 9th for instance a bat of David. Having an affect on everyone witnessing . Jesus ultimately does end up getting married to his bride, the church, those that believe he is the Son of God, born of a virgin, lived a sinless life, condemned to the cross as an innocent man, buried and risen from the dead on the third day by the matchless power of God the Father, and now sits in glory on a throne in heaven ruling a kingdom that is not tangible in the physical sense but spiritual, existing in our hearts, perceived in our minds, and demonstrated through our lives with love, forgiveness, grace and mercy. The final statement John makes concerning the event in Cana says this was the first miracle Jesus performed revealing his glory. John also wrote Revelations and with that in mind we know John writes symbolically. Jesus stated to his mother (woman) at that point, on the third day of this wedding in Cana, His time had not come, therefore it was not his wedding at which point His blood as a wine would be poured out. The wine from the ceremonial cleansing pots represents the cleansing blood of Jesus poured out to wash our sins as Jesus stated at Last Supper. The wedding guests representing Israel may have been, or may not have been, drunk, or desensitized, on the first wine, representing the blood of sacrificed animals over the years. The servants that drew the water that had been turned into wine and knew where it came from represent the Levitical priests who sprinkled the blood on and around the alter during the animal sacrifices. The master of the banquet who judged the wine (Father God?) said to the bridegroom, representing Jesus at his crucifixion, His wedding day when he referred once again to his mother as woman, it was the best saved for last, meaning no more sacrifices needed. All throughout the Old Testament there is a foreshadowing of Jesus, what he would say, do, and ultimately his death and resurrection. I hope everyone who reads my comment is blessed and not offended. The BIBLE states do not go beyound what is written, all will be revealed in the end of days. Most all who have commented are men and here’s what your missing. Simply this. If I, being a woman, were an invited guest to a wedding and they ran out of wine, which would be hugely embarrassing for the wedding party, I would ask my son whom I knew could perform miracles to save the day. Don’t overthink this. The palm tree was originally the “Tree of Life” (Genesis 2:9) in southern Mesopotamia and it was sacred to the Sumerian god of wisdom, Ea, in the first city to gain prominence, Eridu, which is where the “kingship from heaven” descended, according to the Babylonian King List. The fact that Mary Magdalene is the first witness to the post-mortal and pre-ascension Jesus fits in with the elaborate system developed in the 13th century C.E. book of Zohar where the Shekhina, or Divine Presence, is sometimes referred to in the Hebrew word ‘zot,’ as in “this (zot) shall be called woman, because out of man was taken this (zot) in Genesis 2:23. The word for rising is ‘olah’ that is also used in the context of the sacrificial offering on the altar rising with aromatic spices to heaven. I would have to agree with commentator David, given the advantage of archaeological discoveries that has allowed us to see the person of Jesus of Nazareth as a product of his environment not unlike the “fruits of the land” around which the seasonal cycle forms the three most important observances in Dueteronomy 16:16, the festival of unleavened bread (barley harvest), the festival of weeks (wheat harvest) and the festival of booths (grape and olive harvest), which are really the Gospels of Mark, Matthew, Luke and John, respectively. It represents the metabolism of God’s word growing slowly like vegetation, in contrast to the animal impulse of humans to procreate, which is why Mary of Magdala isn’t mentioned at the wedding at Cana due to this being a gospel with hidden allusions to a lost form of gnosis or knowledge pertaining to the spiritual wedding chamber and she still is a presence at the wedding (which is why we are here discussing this) not unlike the Divine Presence known in Hebrew as “shekinah” from the root “sukkah” meaning “to dwell” and is the basis for the word “Sukkot” or “booths” that celebrated Israel’s migration through the wilderness when they dwelt in huts. We see the link between the wedding at Cana and, “he came again to Cana of Galilee, where he had turned the water into wine” (John 4:46). Prior to performing the second “sign” of healing the son of an official, the discussion was centered on the harvest (John 4:35-38) after his disciples couldn’t figure out why Jesus would talk to the Samaritan woman. 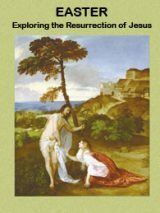 This along with Mary Magdalene’s assumption that the ressurected Christ was the gardener/caretaker of the tombs only symbolizes the union between the upper and lower worlds, with the spiritual realm being the male and associated with the Garden of Eden and the physical world being female and that this phenomenon is represented by the male and female followers going to an “upper chamber” (Acts 1:13) on the day of Pentecost, or Festival of Weeks, when some people thought that the people speaking in tongues were “full of sweet wine” (Acts 2:13). Given Jesus’ advice to His disciples in Matthew 19:10-12, it is highly unlikely any of His disciples married from that point on. Any suggestion that Jesus married is sheer foolishness and immaturity. I don’t know if Jesus was married or not, but that was normal human behavior then as now. If he was fully human, and wanted people to listen to his message, he would have followed the customs of his time. The Christian scriptures don’t say he went to the bathroom either, but they say he ate, so do you deny that, also? And the Gospels may have originally spoken of it, but were later scrubbed clean by a church that couldn’t accept that as part of its doctrine. Whatever people might think about the historian Flavius Josephus, the fact remains that he was among the last of the priests before the temple in Jerusalem was destroyed, and true to his calling, he had ultimately fulfilled his duty to “safeguard knowledge” (Malachi 2:7). The culture from which Jesus was familiar with was established in the Galilee region by the victors of a rebellion led by a family of priests against tyrannical rule by gentiles who were percieved as barbarians in their attempt to eradicate Jewish customs that were based on the laws of purity. Whether we think pork is ritually unclean is not the issue, but it forms the backdrop to this portion of the gospel of John where every sentence is loaded with information, some of which was lost for nearly two millennium. I appreciate the efforts of Tabor and others to dig deeper into what what was known by the Jewish Christians at this early stage, since we tend to forget that Jesus was 100% Jewish, and that he also subscribed to the notion of a universal faith that arises from the Hashmonian era in which God “saved his whole people, confening on all the heritage, kingdom, priesthood and sanctification as he promised through the Law…” (2 Maccabees 2:17), and “made us a line of kings, priests to serve his God and Father…” (Revelation 1:6), which became available to through God’s son to the gentiles. I love to read the comments to Mr. Tabor’s articles. They are almost as funny as the articles themselves! I agree with Derek. Hogwash to the He was married bit. Mr. Tabor, why don’t you come right out and say it, that you don’t believe in anything…nothing at all, but you are gaining too much attention, publicity, and money to quit. You in the past have basically said that Jesus was either a big liar, or very deluded; nothing special, just a curiosity of the first century who happened to strike a chord with people. If Jesus was nothing more than some deluded Jew, why do you even bother theorizing, or considering any information about His life? If your purpose is to entertain, you would be of much more benefit juggling, doing stand up comedy, or playing lively tunes on the comb and tissue paper. Because it is not mentioned with scripture and contrary to His mission. Christ came to do His Father’s will. He was only about God’s business. He was single-minded about it. A married man will be concerned about the affairs of this world – how he can please his wife. Why is the idea that Jesus was married so appalling? The town of Cana wasn’t mentioned in the other Gospels, only in John, but Tabor claimed that this account of the wedding pre-dates the other Gospels and I’m inclined to believe that there’s even more to this story. Rather than serving as a mere backdrop to the miracle performed by Jesus, the town of Cana has a history just as this was a scene set at a particular historical stage in Jesus’ ministry that was unique to the Galilee region. So here we have the foundation of a Judean community at Khirbet Cana during the mid-2nd century B.C.E., along with the lucrative olive oil industry that through archaeological evidence forms the backdrop to the setting at Cana. I think that James Tabor has come to the end of his career and began looking around for something new to say about Jesus. ‘Of late I have become persuaded’ ??? Well mate I will never be persuaded, Jesus came to Earth with a special job to do and I am so grateful he accepted that mission, because I would not be writing this reply. Editor: You may wish to correct the text in paragraph 5 — Prof. Edwards was Dr. Tabor’s ‘colleague’, not his ‘college’. Also, the last paragraph can be deleted as it is unrelated to the Wedding in Cana episode and serves only as a teaser for Dr. Tabor’s controversial 2012 book which offers a provocative hypothesis not argued or in any way supported in this piece. The essay would be stronger without it. Blows my mind that anyone would think that Jesus was married simply doesn’t know who He claimed to be or what He said regarding marriage. He is the Almighty God; YHWH Himself; the creator of all things. Do people actually believe that it would be ok for Angels to marry human women? How much less for God Himself to do so? Jesus was fully human but fully God incarnate. In Matthew 19:12 He said “12 For there are eunuchs who were born thus from their mother’s womb, and there are eunuchs who were made eunuchs by men, and there are eunuchs who have made themselves eunuchs for the kingdom of heaven’s sake. He who is able to accept it, let him accept it.”” Do we think that the sinless lamb of God, God Himself couldn’t accept it? His mission down here was to die for the sins of the world and pave a way back to the Father, Son & Holy Spirit. Either accept who Jesus said He was or don’t; do you not think that the Pharisees or anyone would have mentioned Him having a wife; It’s ludicrous to even think that. We have so many so called “Learned” men in this world and it’s shocking at times to see that they think they know so much when in reality they know so very little. In his letter to the Corinthians Paul says “Because the foolishness of God is wiser than men, and the weakness of God is stronger than men” and again “but God has chosen the foolish things of the world to shame the wise, and God has chosen the weak things of the world to shame the things which are strong,and the base things of the world and the despised God has chosen, the things that are not, so that He may nullify the things that are,so that no man may boast before God.” God said to love Him with all of our heart, all of our soul, all of our strength and all of our minds” Isn’t it our responsibility if He purchased us with His very life that we at least try to understand who it is we say that we serve. I see such an assault on His character more and more by our “Christian” brethren…let it not be so. Even the Pharisees knew who He was claiming to be and they wanted to kill Him for it. Oh ! What an article ! I am christian, but it does make me smiling, that such an honourable professor could write such no-interesting at all things about Jesus’ wedding ! Good new work, why not ?! Some good discoveries have been made following her tellings…for an example, the house of Myriam, mother of Jésus , at Panaghia-Capouli, in 1892, at the mountain Bulbul-Dagh, near Ephese( “La maison de Marie à Ephèse-Histoire de sa découverte” -Extrait du Journal du père Eugène Poulin, lazariste- Pierre Téqui éditeur DVD, 2006) . Better serious reading as Brown ! Many Christians focus on the hocus pocus — their faith seems to depend entirely on the magic acts (the miracles) as literal historical and supernatural events. But the miracle that Jesus was preaching was that a normal human being could have a personal relationship with the living God. So I believe that the “wine” was the good news (i.e. gospel), NOT a mellow Zinfandel with a fruity bouquet and a hint of oak in its flavoring. After several paragraphs of sheer speculation about the gospels you have a paragraph that goes from those guesses and assumptions to “Given this background, all we can do us speculate.” So that’s it. Speculating about speculations built on speculations. Such, apparently, is what passes for Bible scholarship at the juncture in time. the stone jars filled with water and then said that the bottom valves should be opened. use his power to make a show of “magic”. The Cana story is much deeper and much more thrilling: It is Spirit that will transform all the mundane elements of your life into radiant new value. Let’s not proclaim “magic” after Jesus himself refused to do so! What is it about you people that you always seem driven to make definitive statements about things that the Holy Spirit was silent about? I am speaking about your absurd statement that the wedding could have been Christ’s own wedding. That speaks absolute VOLUMES about your credentials and your credibility as a so-called archaeological scholar. Read the Word, man. For goodness sakes, the Bible says simply, “Jesus’ mother WAS THERE, and Jesus and his Disciples HAD ALSO BEEN INVITED to the wedding. How you people can jump from that, to the wedding being one for Christ Himself or one of his brothers or sisters is absolutely APPALLING. By your convoluted thinking, if my Mother or I actually attend a wedding, it must be a family member or my own wedding. BRILLIANT!!! Absolutely BRILLIANT!!! I say to you, Sir, you are going to stand before God and have to explain to Him why you have been willing to mishandle His precious Word in this manner. And you will not prevail in that conversation, I can assure you. I also find this account interesting, also the various wrong assumptions. There would, indeed have been water present – but not for drinking. In Roman days, only animals drank water from cisterns carved out of the local limestone. But it was almost certainly also used for washing (of hands, dishes, etc.). Wine was what people drank – not to get drunk but because it was generally purer that the water. So, in effect, what Jesus did was to utilize clean washing-up water to provide liquid for the guests to drink. i don’t believe the wedding was James. He was a life long Nazarite and they did not get married. I also lean towards Jesus himself or at the least a brother or sister. Remember he is called a Rabi many times and they were required to be ,married and multioply. Or the Anchor Bible and Brown???? Hershel… You guys are really fixated on the Jesus’ wife thing. How can you and your magazine be so smart and interesting and well-thought-out and yet miss the larger point about Jesus? Otherwise this is all interesting. Perhaps the wedding was that of John the apostle. I believe I’ve read this notion. In William Barclay (referring to other writers) perhaps?